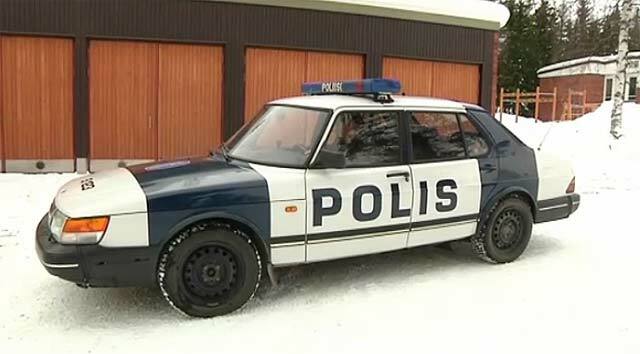 I previously wrote about the very last Saab 900 that the Finnish police still has. Yesterday username “saamu” posted a link on the Saab Club Finland discussion board of a news article where it was stated that the very last 1993 model Saab 900 has finally retired from police service. What will happen to the car is still open. Most likely it will be auctioned off at police sale or it will find a home in some museum. Click here for the original article in Finnish. So, that’s it. Finnish police force no longer has any Saabs on patrol duty!